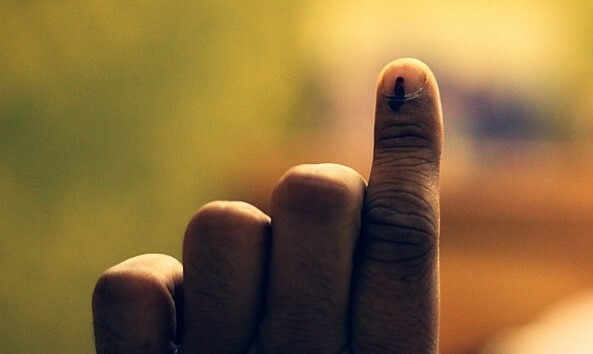 The question of whether non resident Indians (NRIs) can play an active role in determining the political leadership of their native country by casting their ballot, and how, has been at the centre of focus on many occasions. The coming elections to the Lok Sabha have created a new flutter over the issue with the looming possibility of NRIs being able to vote through appointed proxies. So, how does the system work at present? And what are the changes being mulled? Here is a quick look at the entire NRI voting process and possibility. 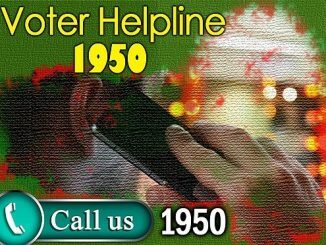 According to the provisions of Section 19 of the Representation of People Act, 1950, an NRI could join the electoral rolls as an elector as long as he was deemed to be ‘ordinarily resident’ as per the provisions of Section 20A of the law. However, till 2010, NRIs settled in another country were not permitted to exercise their right to vote during the elections. It was a simple amendment to the Representation of People (Amendment) Act, 2010 that crystallised voting rights for the non-resident Indians, even though they had to be physically present in the constituency. NRIs form a formidable force across the globe, with a population of 3.10 crore according to the Ministry of External Affairs. Yet, it is expensive as well as complex to fly back home merely to push a button to indicate your preference for national leadership. The logistical and practical issues have always been unwieldy for the Election Commission as well. 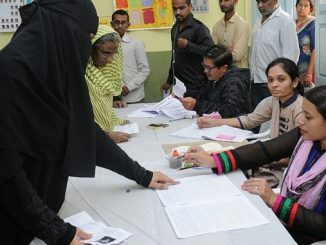 So, it was not surprising perhaps that the number of non-resident voters who registered during the Punjab polls was just 314, as observed by the Chief Election Commissioner, Sunil Arora. The number was so low even in a state that has such a large and diverse diaspora in different parts of the world. Once you fulfil these conditions, you may register yourself as an overseas voter. Fill out form Form 6A. Thanks to digitisation, the government has now made it possible for NRIs to register online for their Voter ID. A larger number of overseas Indians might at least become part of the electoral rolls this year, even if they do not come home to vote. You can get Form 6A from your Indian Mission abroad. The Booth Level Officer in every polling station can also give a blank Form 6A to your families here, who can send it to you. Scan the form you have filled as well as the documents required: One recent passport sized coloured photograph, duly affixed in Form 6A; self-attested photocopies of the relevant pages of the passport containing photograph, your address in India, all other particulars and also the page of your passport containing the valid visa endorsement. Remember, even when you apply online, it is necessary to send signed copy of Form 6A and self attested copies of requisite documents mentioned to the address of the concerned Electoral Registration Officer. The application will be scrutinised and posted to screen for objections over a week. For verification, the Electoral Registration Officer will send a Booth Level Officer of the concerned polling area for field verification. The latter will visit your home address in India, as mentioned in the passport. He will enquire about the details and ask your relations residing in that address to verify the self attested copies of documents and give a declaration to the effect. In case, you have no relatives in your home address or no relative is willing to give declaration for verification of documents, or if the officer is not satisfied with verification of documents by the relatives, the same documents will be sent for verification to the concerned Indian Mission in the country where you currently reside. The final decision of the Electoral Registration Officer will reach you by post on the address in the foreign country specified in Form 6A, and also by SMS on the mobile number given in the form, if any. Electoral rolls are also available on the website of the Chief Electoral Officer of the State concerned and can be seen by anybody. As an NRI, you will find your name in a separate section for “Overseas Electors.” This is the last section on the roll of that particular part/polling station area of the constituency that corresponds to your home address as in your passport. The Representation of the People (Amendment) Bill 2017, which once enacted would permit NRIs to vote through a proxy in India, was passed in the Lok Sabha but is awaiting a nod in the Rajya Sabha. If that happens by next month during the Budget session of Parliament, you may not even need to come to India to vote. This form of voting has been suggested as a “viable” option by the Election Commission for NRIs who cannot travel to India. However, it remains in the pipeline till the Rajya Sabha passes the law. Once it is enacted into law, you will have to choose an adult relative or friend who is registered in your constituency and ask him/her to cast your vote along with his/her own. While the process and rules are yet to be notified, it is likely that an application has to be made to an electoral officer, seeking permission for the identified proxy to cast a vote on your behalf. If you thought you could cast your vote outside India at an Indian Embassy, then perish that thought. You can’t. E-postal ballots are not permitted yet, although the EC is thinking of trying it for pilot constituencies at by-elections after the Lok Sabha polls. Right now you can register and claim your Voter ID. After that, you will have to come down to cast your vote at your election booth in your constituency. An overseas (NRI) elector is not issued an EPIC as he is allowed to cast his vote in an election in the constituency, in person at the polling station upon production of his original passport. Therefore, do not forget to bring your passport to the booth. If you held an EPIC issued to you in the past as a voter in India, you must surrender that when you submit Form 6A. Finally, will your party win the polls because of your vote? Maybe, or maybe not. But let it not be said that you did not try.